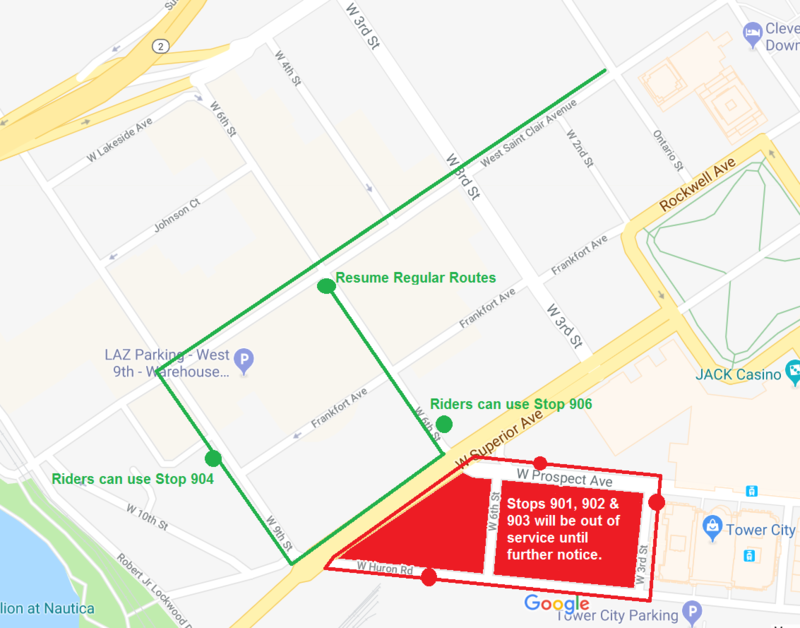 Laketran’s Park-n-Ride Routes 10-13 serve downtown Cleveland with connection points for Cleveland State University, Case Western Reserve University, Cleveland School of Court Reporting, and Bryant & Stratton Cleveland Campus. Students attending these schools on-campus or other schools located in Cleveland, may pay the Student Fare. Students must present Cleveland-based school student photo ID to use this ticket. If paying a discounted fare, required I.D. must be presented each time bus is boarded. You must present your Golden Buckeye card, Medicare card or Laketran-issued ADA or Reduced Fare identification. Fares must be paid when boarding bus. Drivers cannot make change; fare box will issue a change card usable on future trips. Value Cards and Smart Cards may be used on any service.